Sometimes things happen when you’re young that some time later in life you find yourself revisiting. I am just returned from Liverpool University, where I was a student in the late 1960s but where, in 1970, I came to grief. I had gone there fresh from volunteering in Africa, full of a desire for racial equality and human rights. We all got caught up in what were, in the fullest sense of the world, revolting times. Our cause was that of persuading the university to disinvest from companies trading in apartheid South Africa. As a sidebar, we determined to get rid of the then chancellor, Lord Salisbury, who was an outspoken supporter of Rhodesia’s illegal declaration of independence. It all ended in tears. A determination by both sides not to negotiate led to a six-week-long sit-in by many hundreds of students. The outcome was that 10 of us who had elected positions on the student body were sent down. And, of course, I have lived and worked in an environment in which everyone else in the workplace has a degree. But today Liverpool University and I buried the hatchet. There I was, on the degree stage with the vice-chancellor, the chief constable, the lord lieutenant, and the wonderful new chancellor, Professor Sir David King. How lucky! For he himself, born a South African, was expelled from the country in the midst of his PhD in 1963. I had the honour of hearing the pro vice-chancellor read out a eulogy about me – or rather, about a man I didn’t really seem to recognise, some character who reported for Channel 4. There was a fantastic batch of students who’d got real degrees and toiled for them and got into debt for them. It was a great atmosphere. And a strange thing, to be amongst the office-holders who had got rid of me, but who now, populated by different humans, embraced me. From henceforth, no more “Mr” Snow. I am Dr Snow, honorary Doctor of Laws (Liverpool University). Coming back on the train, I had relished the experience. But Somalia beckoned, the Murdoch mayhem beckoned. Another day, another dollar. You show off .Well of course it is who you know and you have the right connections with us bloggers, never mind Lord watnot , Oxford chancellors and Dons, we got you there and of course we will take all the credit for that. Now being generous I will give you half of the credit so instead of being a Phd you can be a phd. So Liverpool because it is all us and not Jon who had his own career, we thank you and will refer to ourselves as doctors. Tell them about your legendary encounter with the filing cabinet. Congratulations, Dr Snow. But you don’t get off that lightly. I completed my degree in my 65th year, so there is still time for you to lay that ghost to rest! Congratulations Dr Snow! It may well be that not getting a degree all those years ago served you well – but you certainly deserve this one now. We are very pleased for you. Keep up the good work on C4, whose news coverage is way ahead of the opposition. Congratulations Jon.Does it really matter whether you would have gotten your degree?It doesn’t seem to have affected your career but this award is a clear recognition of what you have achieved and your connection to Liverpool University. I come from the other side of the coin.I was sent to S Africa for a year in 1960 to show them what a “Whitby” class frigate could do ,after they bought 3.What a fantastic country it was, still loyal to the British crown ,despite apartheid and its disagreement with the British government.Apartheid was abominable and at its height but the country was rich and though i hate to say it so were the whites at the expense of the blacks.From what i read now the country and its coloured population are no better off ,infact probably worse. In 1965 i was on the Rhodesian oil blockade in the Indian ocean at the behest of the Wilson government. For all our posturing i do not think we have done either country any favours. Is it true that the crew threw a picture of Harold Wilson over the side “to see if he could really walk on water”? I am not sure of that Moonbeach.There were other ships out there though we hit the head lines .We all cursed Wilson for his treatment of what had been a loyal colony.In the Navy we would not have minded had the protestors been strung up (sorry Jon)As of many protests , look at the end results!!!!! Well done, hope the old guard are feeling remorseful. I look up to you not justbecause you’re so tall, but because you are a man of integrity. Congratulations Dr Snow, what a good week for news all round. Congratulations Jon, on becoming Dr Snow and also on admitting your lack of graduate status. It goes to show how people without degrees often go on to achieve great career success and that the emphasis on higher education is often misplaced. People find their own routes towards maturity and achievement, but I fear that in the present day it’s harder than ever for young people to find the work that will fulfill them and lead to the laurels of which you speak. We thoroughly enjoyed the day too Dr Snow, and I think the students will remember your speech for years to come! Well done! That’s a great story, Jon – a considerable improvement on the sad doings of politicians, police and NI. Just wanted to add my congratulations on this exciting day. Couldn’t have happened to a better student activist/journalist/presenter extraordinaire. 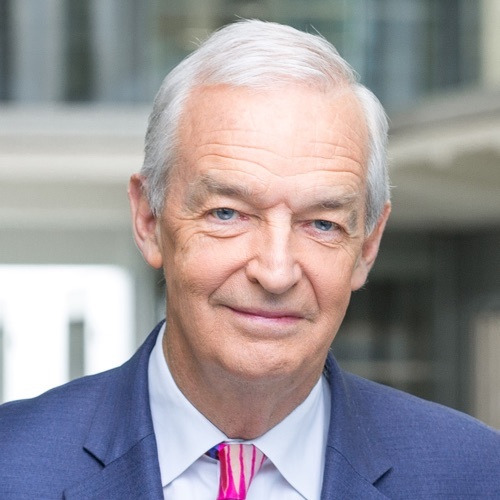 Very many congratulations, Dr Snow. Jon I feel you are suffering from grumpy old man syndrome .
. Give up Channel 4 news before your audience does. Congratulations Dr Jon. Is that you on the stage? Jon, your moving piece on the famine in the Horn of Africa showed that the United Nation’s work to rescue the starving is hampered for the lack of $596 million. How ironic that on the same day we leared that bankers were paid £14 billion (I think that’s about $22bn) in bonuses. If my maths is correct the amount needed by the UN is less than three per cent of the money paid in bank bonuses. We truly live in a world where the values are upside down. Thanks for posting this, Sam – had been thinking the same thing. Will now Twitter for maximum readership. Congrats on your degree at 65 (in history, perhaps? Do tell!). Yes, would love to see your acceptance speech, Jon, as another blogger has suggested. Liverpool’s my birth-place, though brought up to the east, halfway between it and that other north-western city of Manchester, so my stay there was even shorter than yours. At least you’re expulsion from academia led to your three year’s work, and lifetime involvement, with New Horizon youth centre. Fellow Snowbloggers might be interested to know that Jon auctioned several of his C4 ties at a fundraiser for same last Monday (won’t elaborate on his socks). NB great responses from Sam and Sue to kcrally, below. Can’t imagine what s/he hoped to gain by posting. And I, too, would like the chance to read the speech, Jon. By the way (why can’t I bring myself to write btw?) great choice of socks to go with the gowns. Fashion icon as well as (almost) everyone’s favourite journo. If you enter the Tour de France, though, or start leaping tall buildings I shall disown you as a showoff. i think jon snow is a complete idiot. what does ‘ thankyou very much indeed for joining us ‘ mean. on yer bike snowman. dont come back. The tone and content of your blog shows you don’t understand the meaning of the word polite. Look it up. It’s one of the things that makes society more civilised. Idiot= a mentally deficient person, or someone who acts in a self-defeating or significantly counter productive way. Jon Snow an idiot? I don’t think so kcrally. But maybe you could do with an English lesson or two. Now you’re a Doctor, I’m having terrible trouble with my left knee……. I was in my 20s in Liverpool when you were sent down. University was beyond the horizon for those with my background so I share your experience in making it the hardway but make it WE did! And on my our terms! Mind you I had to go to the US to escape the class system and gain altitude. I have now returned to Liverpool and wear with pride my sweat shirt that reads Liverpool University of Life! Dr Snow I hold you in the highest regard for your integrity, dedication and professionalism. Well Done! Well Deserved! Still time to get that degree. I got my degree at 42 and my PhD at 48.
unfortunately neither taught me how to put emoticons into this message but I am smillng. congratulations, Dr Snow. May we read your speech? warmest best wishes. Well done Dr Snow. As a Scouser, I couldn’t be more pleased that the only bit of good news reported recently should emanate from my home town. I don’t suppose that you found my wellies that were nicked the last time I visited Liverpool? Congratulations Jon,your journalism and books spoke for you.I wish I could have heard your speech. Perhaps a transcript could be posted somewhere? Congratulations Dr Snow. You said in your speech yesterday that ‘you have never felt so proud’. I was on the stage watching, with you, all of our graduates. It really was the most wonderful day, and I am proud to have shared the stage with you. I was one of the proud parents at Wednesday’s ceremony waiting for my daughter to take her turn on the stage. Congratulations to you and thank you for your very moving speech. I am sure I wasn’t the only person present with a lump in my throat. Your words on the day were inspirational as were your actions back in 1970 and we are very proud that Holly was able to graduate alongside you.